Nigel has completed his epic 790km walk in a better than scheduled 33 days. It’s an amazing achievement and he has had to contend with blisters, a bad back, poor weather and lack of sleep. Along the way he has raised thousand of £’s for the restoration fund. Firstly, can I introduce myself to those who may not know me. I am 69 years old and came to Oddington at the age of 10 when my parents moved up from Somerset. I attended Bicester Grammar School and at the age of 16 I joined the Oxfordshire Constabulary. I retired from the police force at the age of 48 to start a new career in Government, firstly as a Company Fraud Investigator at the Department of Trade and Industry, then Senior Investigation Officer at the Ministry of Agricultural and finally Deputy Departmental Security Officer at DEFRA. Throughout my working life I retained my connections with Oddington through my parents. When my mother died in 1995 my wife Margaret and I moved back to the family home. For many years my mother had been a member of the Parochial Church Council of St Andrew’s, Oddington and it was expected that I would take her place. However I was still working in London and Margaret took on the responsibility. When I retired in 2007 I no longer had an excuse and I joined the PCC. On the retirement of one of the two Churchwardens in 2009 I was appointed to the post. Whilst I am a most unworthy person to be Churchwarden, I have great pride in the history and tradition of the Church. It dates from c.1200 and is the sole remaining building from the mediaeval village which surrounded it. It stands on a rock which rises above Otmoor, of which Oddington is one of the seven “towns.” We are also very privileged in that the greatly revered Maori Princess, Maggie Papakura, is buried here. She was married to Richard Staples-Browne of Oddington Grange. Whilst living here she commissioned a memorial to the Maori servicemen who died in the First World War and this has pride of place in the Church. In 2003 all of the financial reserves of the Church were used to carry out major repairs to the tower. Even at that stage in interior was desperately in need of restoration but the then PCC had run out of money and energy. I decided to try to do something about the situation before I was past it. Mark Stanley-Price had quite recently come to live in the village and he agreed to join me in pursuing a major renovation project. We formed a Fund-raising Committee, represented by a cross-section of the community, with a target of raising £120,000. To date we have raised in the region of £70,000 and the challenge is to complete the task. I decided that I had reached a stage in life where I should embark upon something fairly onerous. 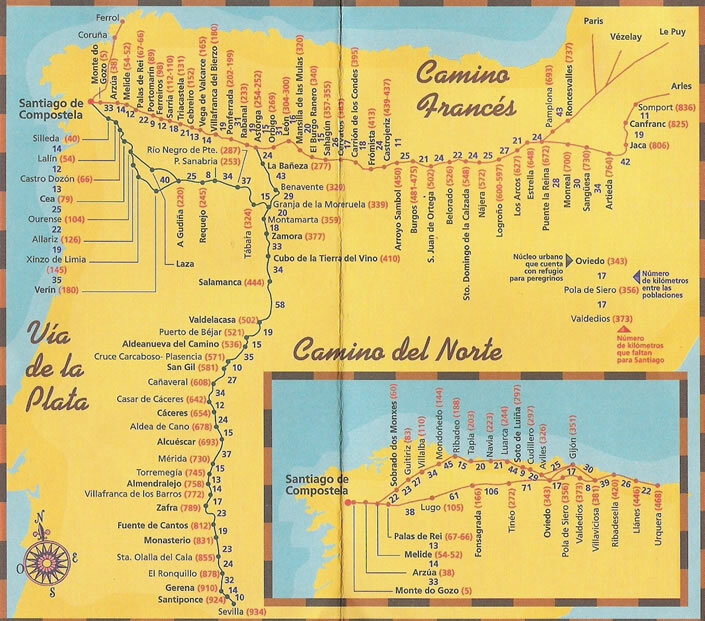 I have chosen to walk the Camino de Santiago, also known as The Way of St James. 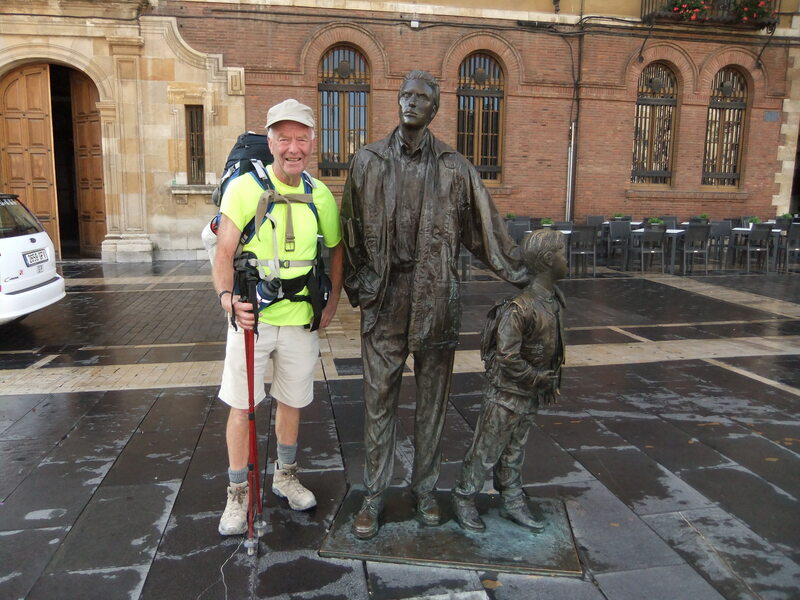 On 1 September I will start out from St. Jean Pied de Port, in the French Pyrenees, to walk the 790km to Santiago de Compostela, near the Atlantic coast of Spain. This is the route undertaken by pilgrims for hundreds of years. I will stay in pilgrim’s hostels each night and expect to complete the journey in 35 days. I am seeking the support of friends and anyone with an interest in Oddington and its Church. I am hoping that my efforts will take us some way towards being able to complete the restoration of this wonderful building so as to safeguard in for many generations to come. I have set up a website with a Just Giving facility http://www.justgiving.com/standrewschurchoddington. Otherwise any donation you may be able to make can be sent to me at Latchmore, Oddington, Kidlington, Oxon, OX5 2QX. This is a map of the traditional route, more information is available on wikipages.